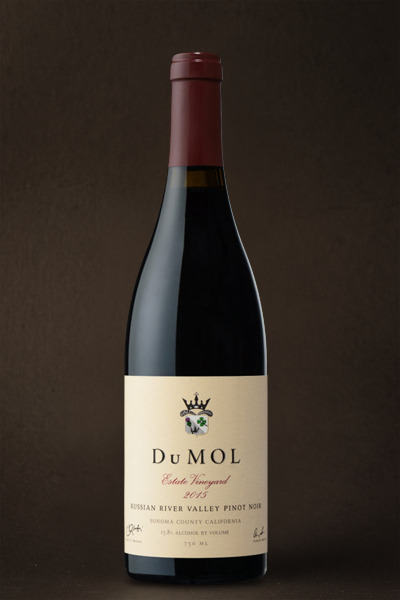 Floral, fruit, and savory aromas: rose petal, black cherry, blackberry, and thyme. Darker licorice, Asian spice, and tangy orange zest notes flicker and fade. There is a wonderful vineyard purity with tightly entwined aromas and flavors. Broad generous palate with deep texture and building volume. Lively acidity and rising tannins bring balance and definition. Long mineral finish with lingering blackcurrant flavors. As one would expect, our finest vineyard has produced the most age worthy Pinot Noir of the vintage. As pure an expression of our Estate Vineyard produced thus far. Cool temperatures during the May bloom cycle reduced vine yields at our Estate by over 50%, giving this wine an effortless level of concentration and extract. But it's not all upfront richness; there's a clarity to the wine that elevates it and displays a vivid, lilting fruit quality — the hallmark of the vintage. It's the vineyard’s core character, its signature, that really drives the wine, clearly defined, pure and complex with lovely spicy intensity. Long, lingering extended arc of flavor and inherent structure hint at its long life ahead; it will age beautifully over the next ten to fifteen years. I recommend decanting for an hour if possible.